Business Rescue Coaching | Does this Word Hold Women Back? Does this Word Hold Women Back? 22 Nov Does this Word Hold Women Back? “Women tend to apologize quite a lot, but it isn’t necessarily due to a lack of confidence,” Ms. Damiano explained. “It’s because women are generally trying to harmonize the environment and that’s a biological thing women have in comparison to men. The business world currently is designed for male success. It is built on being competitive with the main focus of making money. To be successful, women are expected to behave like me. 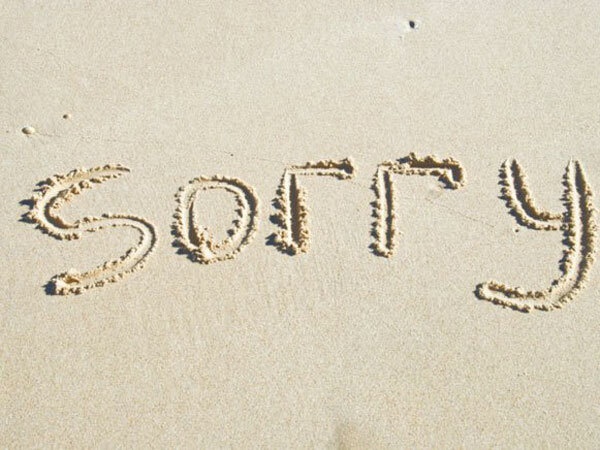 In this regard, saying “sorry” can be perceived as a sign of weakness. However, as we see in many research studies, this male model isn’t working very well anymore. Less than 1 in 3 people are highly engaged at work; people are changing companies every two years on average; Millennials are leaving the corporate world and starting their own businesses at a faster rate than any generation we have seen in the past. To me, this sends a strong message that a large majority of people don’t want to work within the male leadership model. In addition, a 2015 PricewaterhouseCoopers survey reported that companies with the highest percentage of female directors have been shown to outperform on return on equity, return on sales, and return on invested capital. They have lower stock price volatility. And those with more women at the top have even been shown to have fewer governance controversies, such as bribery and fraud. Women bring a higher level of humanity, empathy, and honesty to the workplace. When women say “sorry”, they are sending a message to others that they are human, that making mistakes or being wrong is OK. Innovation thrives in this type of environment. People feel safe to share ideas and learn. Conversations flow more openly as the workplace becomes a safe environment to share and experiment. A leader who says “sorry” is approachable and respected because they have broken down their hierarchical walls that hinder open communication and collaboration. So, while I understand the point Ms. Damiano is making – that in the current work environment women appear weak when they say “sorry” all the time, but we must look beyond this and see what really needs to change is enabling women to be authentic at work and welcome their leadership style. It is women who can bring great value to the success of organizations.